1-2 oatmeal cream pies, cut up. 1-2 more oatmeal cream pies for topping, cut up. Grease the inside of a 6" cheesecake pan (push pan) with butter & set aside. 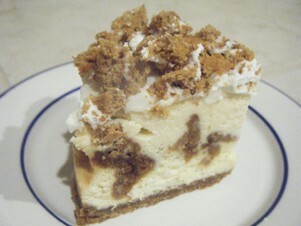 Combine graham cracker crumbs, brown sugar & melted butter. Press crumbs into the bottom of the greased pan. 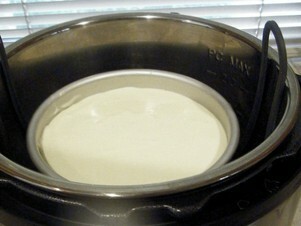 Place pan in freezer while mixing cheesecake batter. Add sugar & vanilla; beat until combined. Add eggs 1 at a time & mix until just combined. Pour 1/2 of the cheesecake batter into prepared pan. 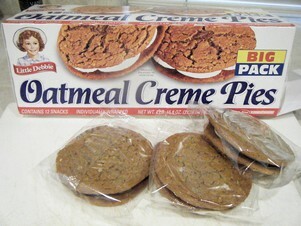 Press oatmeal cream pie pieces into the batter. Pour remaining batter over the cookies & smooth out. Add 1 1/2 cups of water & trivet to the Instant Pot liner. 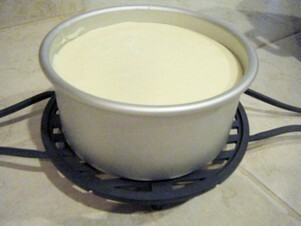 Place cheesecake pan on the trivet. Put lid on pot & Seal the steam vent. 15 minute Natural Pressure Release. Remove pan from pot & let cool on a wire rack for about 1 hour. Beat butter & cream cheese until creamy. Add vanilla & powdered sugar, beat. Add more powdered sugar if needed to get a thick, spreadable frosting. Once completely chilled remove cheesecake from pan. 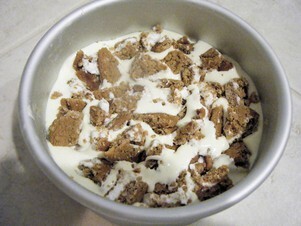 Frost & top with cut up oatmeal cream pie pieces. 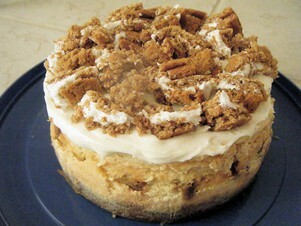 -I used the large oatmeal cream pies. 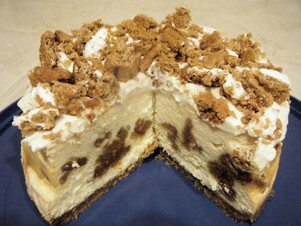 Whether you use the large or small ones just add as many as you want in/on your cheesecake. 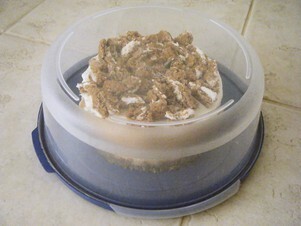 -The frosting recipe makes a lot more than you need to top the cheesecake. I had enough left over to frost a 9x13 sheet cake. Cut the recipe down if you don't have a use for the extra frosting. -If making in a 7" pan instead of 6" pan you can take a few minutes off the cook time.